Pharmasave has a potentially superb sale for Black Friday 2016! Get 30% off tons of products on Black Friday, November 25th, 2016. This sale does not include prescriptions, lottery, stamps, bus tickets, sale items, Ideal Protein and gift cards. Other restrictions may also apply but if almost everything else is 30% off at Pharmasave on Black Friday 2016 then this is certainly one sizzling hot deals. 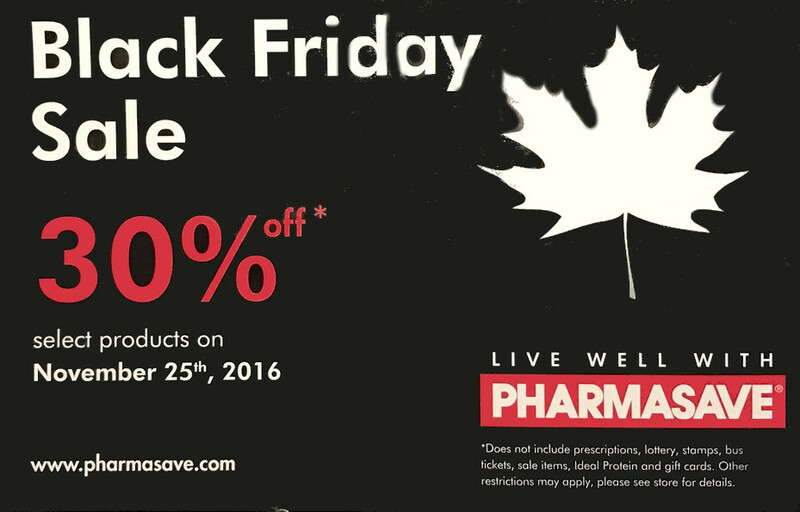 Stay tuned, more details on this Pharmasave Black Friday sale to come out soon.